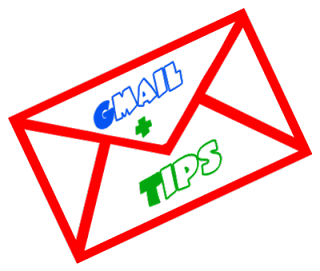 Looking for gmail tips and tricks? Or need help with gmail? We have a list of simple and useful tips for you to stay highly productive on worlds best email application. This list contains gmail organization tips, gmail filter tips and other gmail productivity tips. There are millions of users, who use email for their personal and professional communications. An email account at times could be called as your online identity. Of all the email services, Gmail is called the most popular choice for web users. It has the maximum amount of active users. Gmail has a number of features, which help its users while working with it. However, a majority of its users still are not aware of these features. Below is the list of 10 simple tricks, which can help you in improving your Gmail productivity. This feature help the users to create notes, set deadlines, add any message. In order to start using it, you need to click over the drop down menu located just beside the Gmail (above the compose button located at the left side). After clicking, you need to select ‘Tasks’, which will give you a popup window like the way you see in Gtalk. The more you explore this feature the smarter you become in your Gmail productivity. Using different shortcuts could really help you in saving loads of your time while working with Gmail in the same way when you work with these over your Windows based PC. For instance, to compose a new email you can use c, to search you can use /, e is for archive, m for mute, etc. You can access the complete list from Google support web page. The feature of Labels helps you in categorizing your email messages in your inbox. This reduces your load when you want to find out any specific email message. For instance, if you are using a single Gmail account for your business and personal purposes then by categorizing the emails using labels with Business and Home could help you in sorting out your emails. In Gmail search box, do a search for "newsletter OR opt out OR unsubscribe OR email preferences OR subscribed"
Select (checkbox) the emails you want to unsubscribe from Click "More" -> "Create Filter"
Select "Never mark it as important"
"Apply label: JUNK" This way your inbox is cleaner and you can always check back on JUNK tag email if you need. Attaching any file to your mail box is usually a tedious job, however, at Gmail you can do it by simply dragging and dropping it over the compose mail window unlike the way you do it over your windows based PC. If you have mailed something and immediately realize it is going to a wrong person or a mail with wrong content is moved out, don’t worry, you have the rescue in Gmail. There is a button of undo, which you need to enable from settings page of Gmail, once you do it, you can undo any sent email immediately after pressing the send button. If you have multiple email accounts to manage, Gmail gives you the facility to control them all from one Gmail account by combining them together. All you need to do is to go to the setting page, check the Accounts and Import page and select ‘Send mail from other addresses’ or select the option ‘Add POP 3 email account and then simply do as per the upcoming instructions to enable this feature. In this way you can access different email accounts from a single Gmail account. Filters are considered as a powerful tool which helps you in instructing Gmail what you simply want to do with the messages as they reach your inbox. Creating them is an easy task, which will help you in sorting, forwarding, labeling and even deleting the email messages. If you have typed a huge email message and want to send them out with multiple attachments to a large number of people then it could prove out to be a tedious job. However, by enabling the feature called Background Send (found inside the labs), you could do this job at the background while doing other work at your PC simultaneously. With this feature of Gmail, you get the notifications of any of the new incoming email or instant chat messages. This feature only works over Google Chrome, which could be enabled by going inside the settings. Mobile Sync - You can easily sync it on any smartphone, and the sync works both ways. I use it on my andreoid device and the sync is seamless and very fast. Another advantage of using mobile sync feature is backup of your contacts. In case you switch device or lost it your contacts will be easily synced up in new device using. Click "More" -> "Merge Contacts"
The gmail search box is really powerful and some keywords in search box can be used to do really fast search for you. Similar to this there are also more option with "has" keyword (e.g. has videos, has photos, has calendar event). To see those you can type "has" (without quotes) in search box and options will show up. These options can be combined with the regular label search options, e.g. This will search for all attachment emails that you have sent. Feel free to play around with and explore the power of gmail. The best way to enable tight security on your gmail is to have two factor authentication. You can enable this on google accounts settings. This is a recommended security measure if you are using your gmail account for any sensitive information exchange including financial, social security or any other documents and details that may be sensitive. Make sure to also get the google authenticator app on your mobile device for easy access anywhere. Gmail is among the most popular email services being used by millions of users all across the world. Unfortunately, most of its users are still unaware about these features, which can increase their productivity over Gmail. Trying the above tips and tricks can help you in boosting up Gmail productivity. Do you know of any tricks that we missed out? Feel free to share in comments. This is a Guest Post by Alia. She is a writer/ blogger. She contributes to Gustavo Perdomo. The only problem with using gmail as your business email, is many salespeople discard you as a potential client when you have a gmail account. The article is good provides useful information. I like the article very much as it is very informative and hope to see more of such articles. Nice Tips Sachin, implementing all your suggestions we can definitely make our gmail very fast and productive. Thank you.